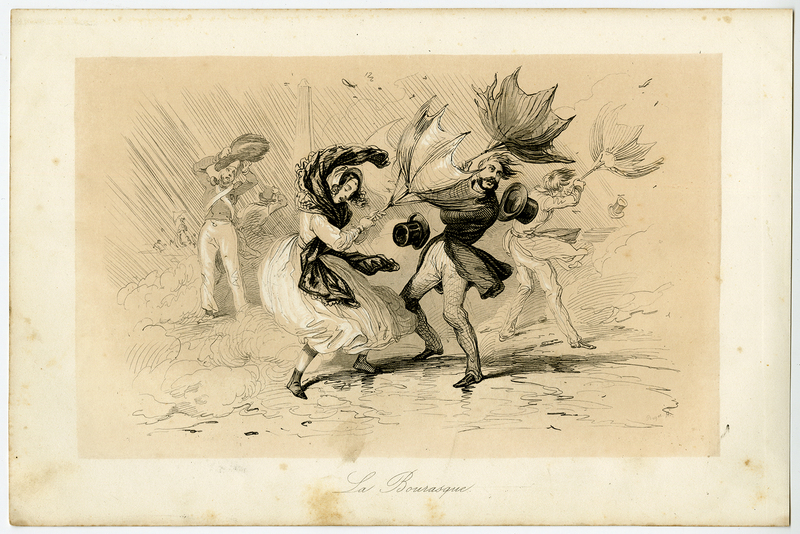 Subject: Antique print, titled: 'La Bourasque. (The squall).' - Men and women lose their umbrella in a gust of wind.